The Miracle League of New Albany will consist of playing divisions that compete in spring and the fall seasons. Each division will include age/ability groups to appropriately place each player in the best situation for him or her. Special bats, balls and helmets are used to ensure player safety. Players each get paired with a volunteer ‘buddy’ to assist and encourage the player during games while batting, running bases and playing in the field. Uniforms are provided. 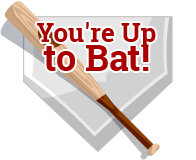 Games are typically 2 innings long, and all players bat each inning.